Gather a group of friends for a movie night party, serve a buffet with savory and sweet recipes, relax and enjoy the show. Hit pause and break for dinner. There are always previews at the movies, and appetizers at a party. 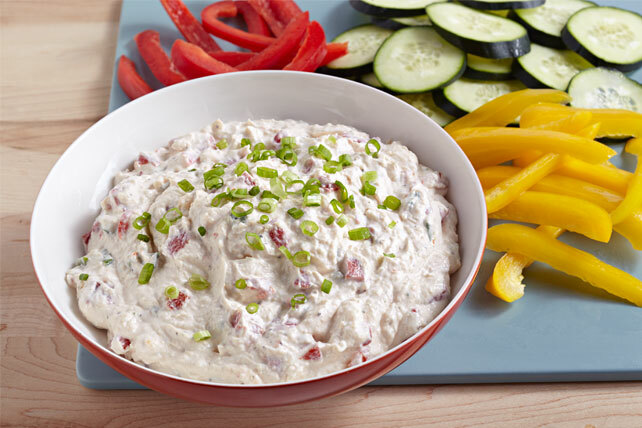 Start your party off with this Healthy Living dip. Serve it with crunchy fresh veggies. A movie night party really calls out for pizza: It's easy to make, serves a crowd and everyone likes it. 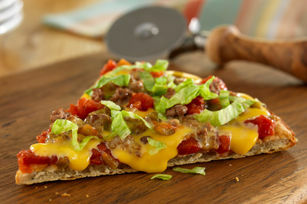 Taco Pizza and fruit pizza are two other options. 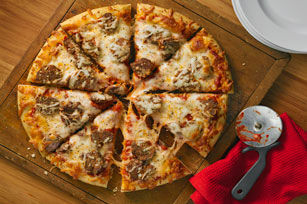 If your taste runs to cheeseburgers over meatballs, this is the pizza for you. In addition to cheeseburger, it's got a queso thing going on, too. If you're a purist, hot dogs may be the only movie-appropriate food other than popcorn for you. 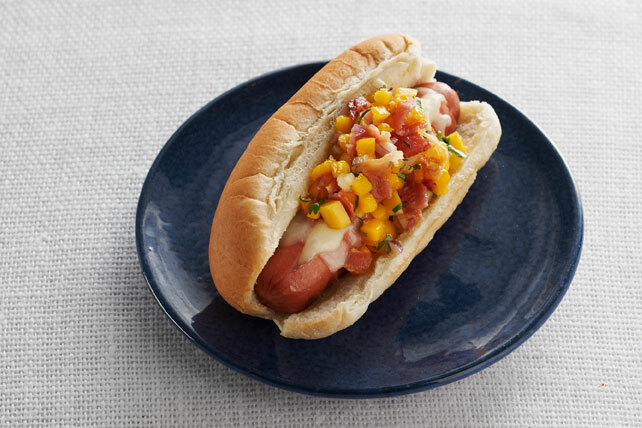 Your options: hot dog recipes and how to cook hot dogs. It's not a movie night party unless there's popcorn. 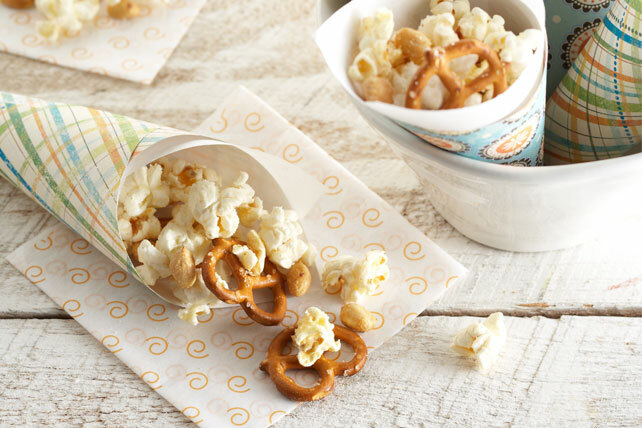 If a sweet popcorn is what you're looking for, try caramel popcorn or Kool-Aid popcorn. The perfect drink for everyone: It uses rum flavoring so the kids can have some, too. Punch recipes provide more options. 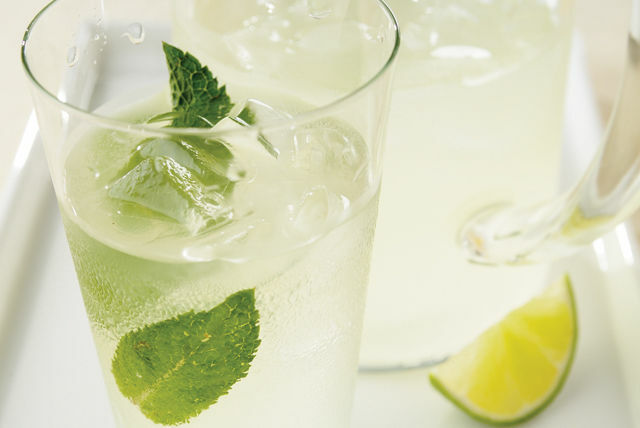 Love mojitos? Try the mojito dessert.